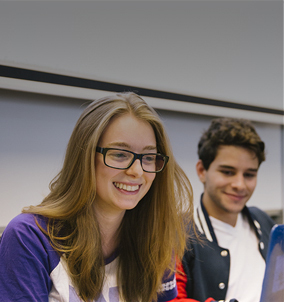 Why apply to NYU Shanghai? Students who choose to enroll in NYU Shanghai become students at China’s first-ever Sino-American joint-venture University. Our location in the heart of China's largest city and identity as an institution of higher education that is simultaneously American and Chinese positions our students to be successful in any discipline, anywhere in the world after graduation. Gain a global perspective. Our rigorous liberal arts and sciences curricula prepares students to become creative leaders with global vision. Even as they immerse themselves in Chinese culture, language, and society, NYU Shanghai students will graduate with the same education, diploma and qualifications as those enrolled at the NYU campuses in New York City and Abu Dhabi. Participate in cross-cultural exchange on a daily basis. Half of all NYU Shanghai students are from across China, and the other half are from more than 70 countries around the world. 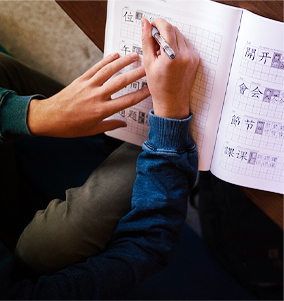 Non-Chinese students are required to study Mandarin Chinese and achieve proficiency by the time they graduate. Explore new ideas with world-renowned faculty. 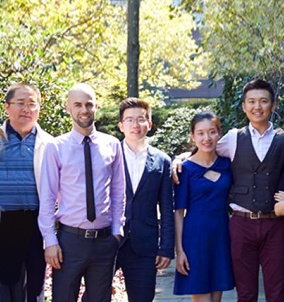 With an 8-to-1 student-to-faculty ratio, NYU Shanghai students can attend classes that are small enough to promote free debate and enable deep discourse, and have many opportunities to serve as research assistants to NYU professors and conduct their own research. Enjoy unprecedented opportunities in China’s most innovative and cosmopolitan city. 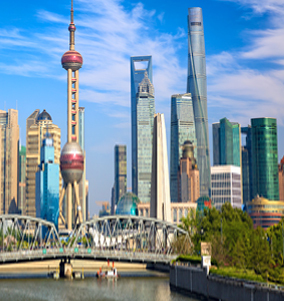 Shanghai is home to exciting start-ups and some of the world’s largest multinational corporations. Because of our location in the heart of Shanghai’s international business district, students have easy access to internships in numerous industries. 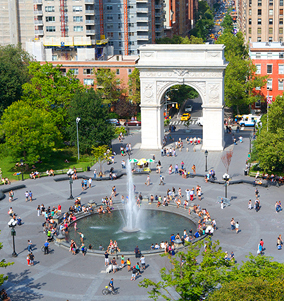 Join an expansive NYU network. 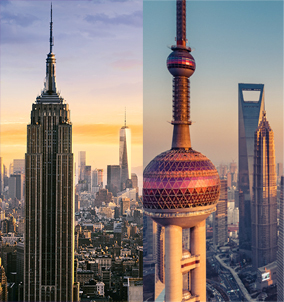 As the largest private research university in the United States, NYU supports three global campuses – New York, Abu Dhabi, and Shanghai – and 11 study centers around the world. NYU Shanghai students can spend up two semesters abroad in any location in the network. Upon graduation, students become part of a global network of over 500,000 alumni. Students complete a core curriculum in the liberal arts and sciences before choosing among 19 majors, as well as multidisciplinary minors and electives. All students spend at least one semester studying abroad at one or more of NYU's 13 international locations, adding another perspective to their global education. Our diverse student body -one half Chinese one half international-is designed to foster cross-cultural understanding in Shanghai, one of the world's most cosmopolitan cities. A strong academic record is critical for successful applicants, but our review process goes beyond test scores. Every NYU Shanghai student, regardless of citizenship, is invited to apply for financial aid.